You are invited to create a legacy of support for our community by purchasing an engraved silver nameplate (1.5” x 8” inches) on our glass legacy wall. 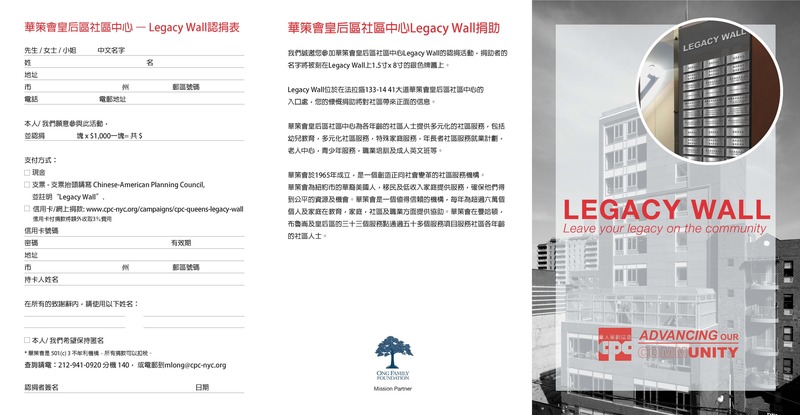 The glass wall is located in the main lobby of the CPC Queens Community Center at 133-14 41st Avenue, Flushing, NY 11355. The nameplates will be prominent and visible recognition of your support of the community. 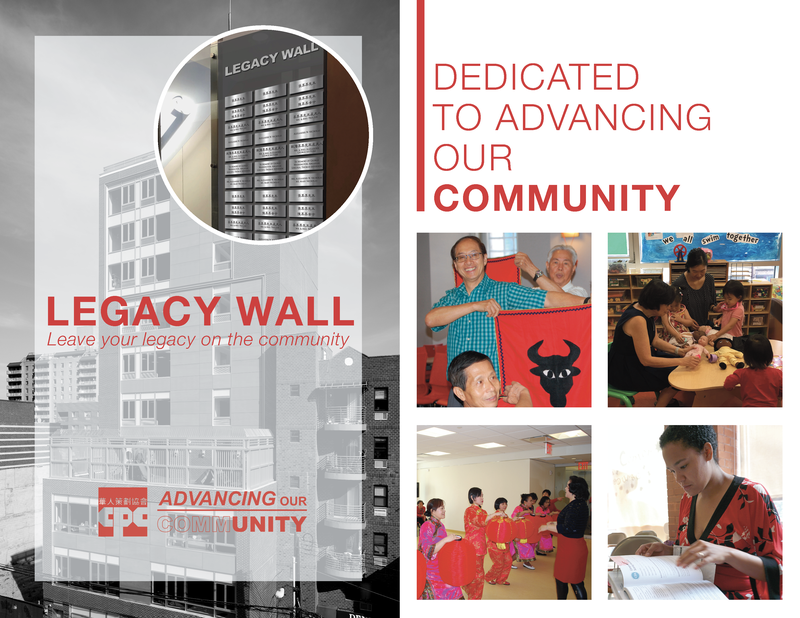 Your generous contribution sends an important message about your commitment to embracing and empowering the Asian American, immigrant and low-income communities in New York City. 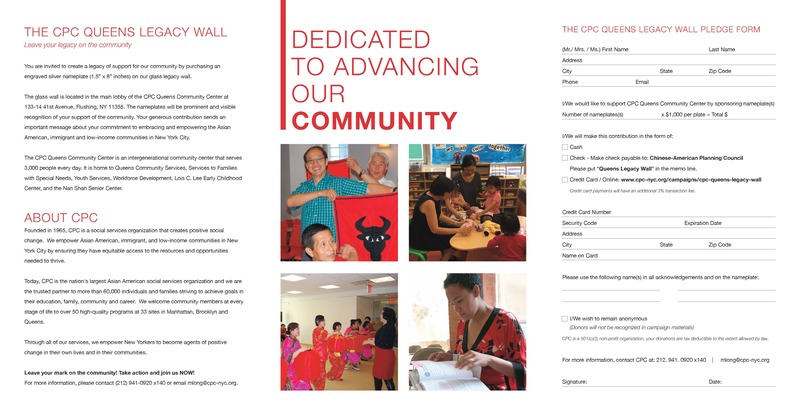 The CPC Queens Community Center is an intergenerational community center that serves 3,000 people every day. It is home to Queens Community Services, Services to Families with Special Needs, Youth Services, Workforce Development, Lois C. Lee Early Childhood Center, and the Nan Shan Senior Center.